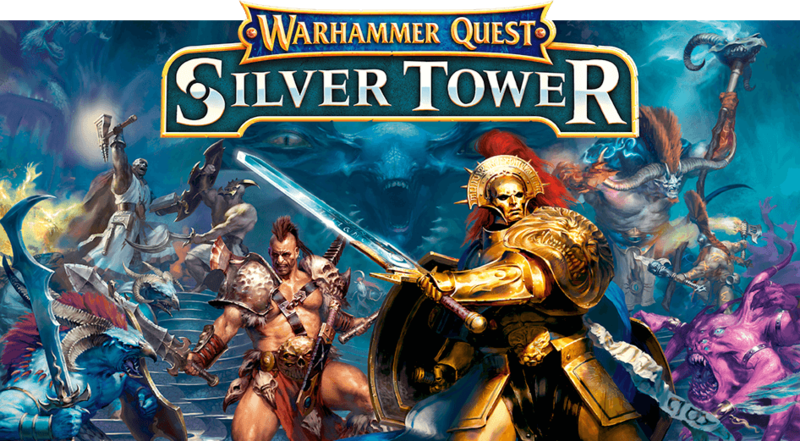 The rules in Warhammer Quest: Silver Tower bear little resemblance to those in Warhammer Quest from the 1990s. Silver Tower is a much more streamlined affair and appeals to me far more. Im not going to go into the rules in any detail here, but what it boils down to is that I have thoroughly enjoyed playing Silver Tower with painted proxy models: its a lot of fun. Check out the short gameplay video above if you want to get an idea of how it works. The miniature contents of the box is split in four, with each contributor talking approximately 1/4 of the dungeon adversaries to paint. Each contributor also chooses a playable Hero (a loose term, “protagonist” is probably more apt) form the forty (?!) or so available and commits to painting that too. 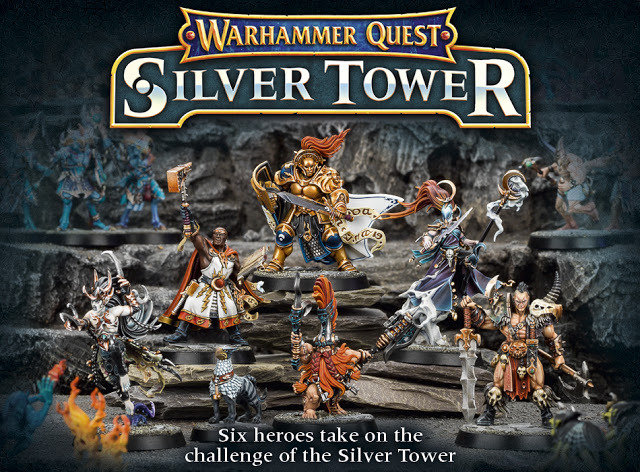 All four contributors meet in Warhammer World in a couple of months and spend a big chunk of a weekend playing with the fully painted Silver Tower set. Add backslapping and high-fives to taste. The miniatures that I have to paint for this first phase are shown below. Note that the images shown are not my paint jobs, but the images of the exquisitely painted figures from the Games Workshop site. 1. Chaos Familiars, Pug, Blot, Tweak and Slop. I thoroughly enjoy painting familiars, so painting these four will be a treat. I plan to work on these first, to warm up essentially. A big aspect of this project is to keep the miniatures as compatible with my ongoing Shonen Knives project as I can. I jumped at the opportunity to paint these avian themed models to use as some sort of tengu in the SK force. 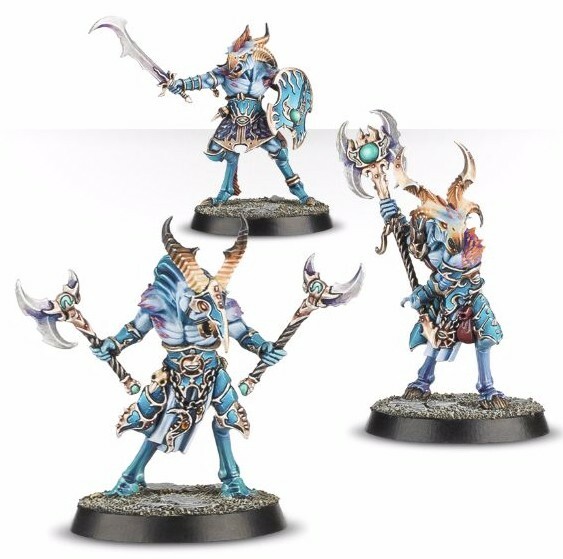 These are particularly nice models (although the miniature contents of Silver Tower is brilliant. Its difficult to pick favourites). 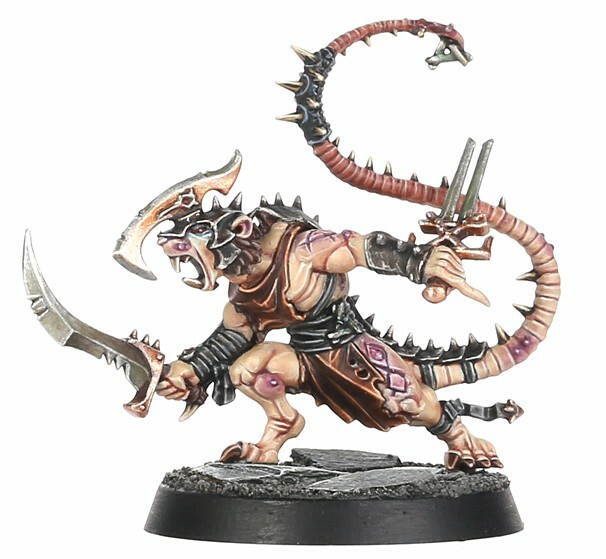 Two badass looking, ninja ratmen? I can work with that. 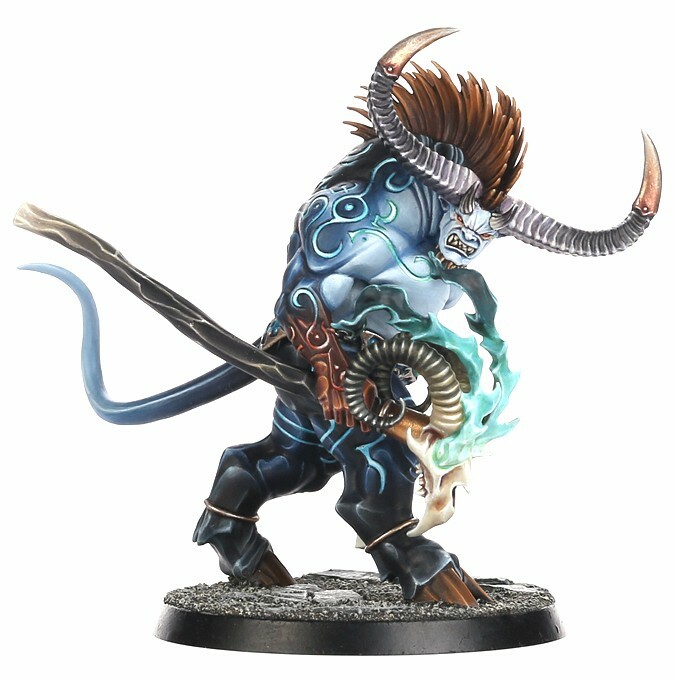 One of the two most intimidating models in the group project (the Gaunt Summoner is the other I reckon), I am both excited and apprehensive about painting this model. To me it looks a helluva lot like a Japanese oni, so again, I can work it into my Shonen Knives rather well I think. Another emo elf. Hmm. That probably says something about me. So, in summation, I have to have this list of fourteen miniatures completed over the next six weeks or so. I hate publicly talking about plans like this before I have actually completed them, but hopefully fear of public failure will prove to be another motivator. I have a plan, its all broken into bite sized chunks of interesting figures and once this initial batch is done then the I will be over the hump for the rest. It will be fiiiine, no sweat. Good luck. 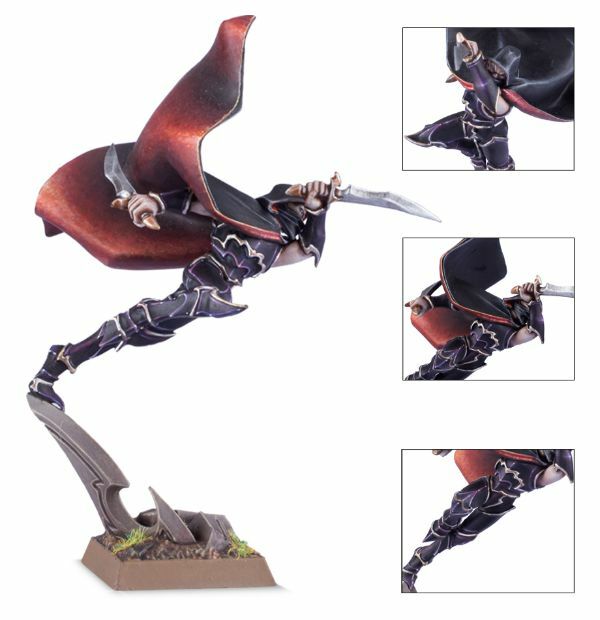 These figures all look great and I am seriously tempted to get this box, perhaps if I can convince a friend to go 50/50…..
Interestingly, I have never gamed a dungeon quest. My introduction to gaming was Fighting Fantasy books borrowed from the local library when I was kid, then straight into Warhammer Fantasy Battle 4th/5th edition in the mid 90s….. I have played a few dungeon crawl boardgames over the years, Heroquest, Advanced Heroquest, Warhammer Quest, Dungeonquest, Descent and a few others that I have forgotten. None of them filled all of a few important criteria for me. Silver Tower does, for numerous reasons, but an important reason is that nobody has the spend the game playing as the dungeon denizens. Everyone gets to be an Adventurer. There are numerous other reasons too (its streamlined and fun and a nice mix of co-op/competitive plus many more). The figures are gorgeous. Funnily enough, the notion of having to paint the entire contents before playing was what led to a discussion about sharing the load and getting together for a few fully painted games faster. 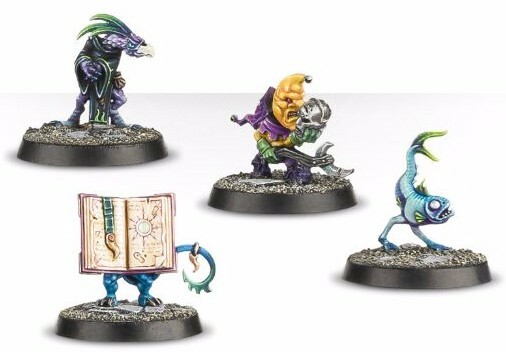 Good luck chap – the box is full of fantastic models (apart from the gobbos), and you certainly did a good job choosing items that will support your SK project – result! I was initially not too keen on the “Scuttlings” either, but in hand I like them a lot more. Im actually looking forward to painting them at a alter stage. The tie in with the SKs is critical for me. These miniatures do double duty which is important. I wouldnt have started this if I thought that it would cause the SKs to stall, but its the opposite really. Im glad to hear that you are getting stuck in too. The Stormcast guy isnt the top of my list, but I have been thinking about ways to make the figure inspire me. Im getting there, but I reckon that it might be one of the last miniatures painted for my project. A wonderful idea to split the box and everyone painting up a hero. That really makes the game your own and obviously the other guys are also invested in it. I must be honest, I don’t like the miniatures much, too overdesigned. That said I am certain your paintjob will elevate them and they will look beautiful in the end. I hope for many updates and will follow this with interest as I am a big fan of Dungeon Crawls (basically using tiles etc. in DnD sessions). I find that I like some modern GW figures and I dislike others, but thats really the same as for all manufacturers and all eras. I quite like the ostentatious and deliberately opulent looking details on many of the Silver Tower figures, but I find that the modern Blood Angel Space Marines (for example) leave me cold. But generally, I try to take models on their own merits. If I like the look of one then I consider it, regardless of manufacturer. Hopefully the first stage of the project – the initial quarter of the contents and the accompanying gaming get together will fire me up enough to work on the rest of the set afterwards. I have another gaming event next January that Silver Tower would slot into nicely. Thanks for the kind feedback daggerandbrush!